Do you struggle to find the time to do important marketing tasks? Want more quality leads for your sales team, but don't know where to start? We partner with businesses that have clear long and short term goals they want to achieve. We convert website visitors into lifelong clients utilising Growth Driven Design and Inbound Marketing strategies. 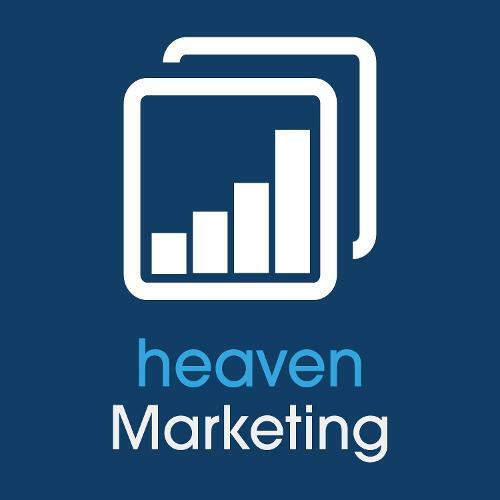 07 Heaven Marketing's goal is to provide YOU with one company that knows what you are about, what you aim to be, has consistent delivery and are a source of information to develop your own marketing understanding. We understand it can be difficult to find the time to consistently market your business, it is essential you invest so that you do not peak, then fall- this directly affects your profit. Get in contact today to discuss your organisation’s possibilities. Enjoyable process, and fantastic results. At first we were sceptical about whether investing in marketing would be worthwhile - six months down the line, I can happily say I was wrong. 07 Heaven didn’t pressure me to use their services, they provided a thorough analysis of our current business and gave advice and statistics on how our business could improve through marketing techniques. I’ve liked these guys from the start and look forward to a long relationship. I’ve been working in partnership with 07 Heaven for the last year and I can honestly say they’ve been instrumental in TrioTech Recruitment’s successful start up phase. The team have great expertise which were put to fantastic use, helping us with our website design, branding and SEO. 07 Heaven provide a personal and professional service by first understanding business needs then ensuring the expectations are set our before hand and then met within the timeframe given. I look forward to a continued successful relationship. 07 Heaven made me feel like I was a part of my business’ marketing rather than just a company who "say" they are doing work and leave us in the dark. I knew exactly how my money was being spent, the expectations from this investment and the results that came from it. We didn't have the time or resources to manage our marketing so we got in touch with 07 heaven marketing. They put together a plan and strategy for us and showed us how to use our CRM, which we desperately needed. Not only are they always available to chat, but their blog is also extremely useful and often answers the questions I have rattling around in my brain with all things marketing. The team at 07 Heaven worked WITH me, not just for me. Other companies I tried to work with made promises, but never delivered. 07 Heaven ensured we hit every target while exceeding a few. I look forward to continuing our work together and would recommend them to any business looking for genuine results for their company.